Homes are a bare necessity, and everyone pushes to buy it at least once in their lifetime. It depends on the location you choose to buy your dream home. This is because every location is different in pricing and accordingly you can invest into it. If your requirement is to buy a home in a tier 2 city, then the cost may be half or even lesser as compared to a metro city. But even then, buying a home may be difficult for you as a lot of funds are required for it. These funds are not readily available for purchasing a home and you need to arrange for it. The most common way to arrange for funds to buy a home are home loans You can get a home loan from almost every bank and financial institution available in the market. All you need to do is check out your requirement and look for the best available interest rates and benefits that would help to make your home loan as cheaper as possible. But for all this to happen as desired, you should have all the information about the home loans. So, let us dig deep into the concept of home loans and solve all your doubts. It is said that half information is dangerous and should not be relied upon until you have a clarity for it. You should look at options to start the home loan process. It helps to find the best options available. But before you start this process, there is something called as a home loan EMI calculator which is available on the Wealth county portal. This calculator is just a perfect way to know how much you would be paying for a home loan worth the amount you apply for. The process is simple, and you just need to input 3 details to get your EMI output. These three details are the loan amount, the interest rate and the tenure for which you would take the loan. Once you have all these details, it is easy to get the EMI that is expected to pay when you apply for the loan. These details are displayed in a very fashionable manner such as the graph and charts form. You can get the breakup of how much amount would go against the principle and how much would be charged for interest. These calculators are available on all the websites and you should check almost all the sites. This would help you to understand how much you are paying over and above the loan cost. 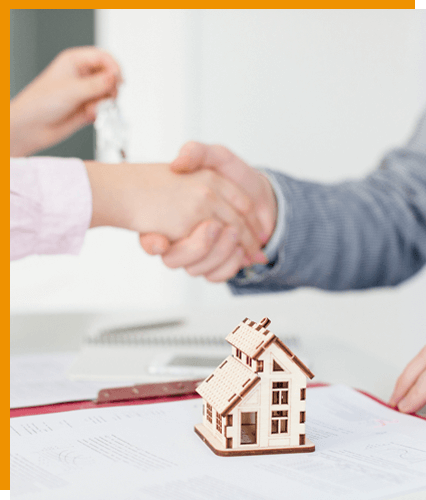 There are many benefits of taking home loans through banks and you should look at them in details so that buying a home is much easier and cheaper. Buying a home is at a stage where you have settled from a financial and career perspective. It comes at a very later stage in life but with many banking options you can get a home loan at an early stage so that the repayment can also be done early. This is majorly for the young crowd who has a salary that can be used to purchase the home soon. It starts from 20000 INR as an Emi which is still affordable and can be served as an investment. Such loans are for the betterment of the young generation. A balance transfer is a way to transfer your ongoing loan with another bank to be shifted to the new bank. This can be done to reduce the interest rate at which your current home loan is. This is a very good way to make your loan value worthwhile and pay less interest. A loan against property can be an easy catch as you would need money for all your requirements but would have no collateral. Your property would help to get a loan against it so that you can make use of it and still get the benefit on both ways. You can also take a top up loan on your existing loan. This is an arrangement done to ensure you can get some extra loan on your existing one to fulfil your needs. This top up loan can be for any use such as a renovation of your home or for business or marriage of your children too. This top up loan is easy to get as you already have a steady loan going on and paper work can also be reduced. You can look at a lot of parameters while you apply for a home loan. This is basically for a clear understanding of the term loan and how to go about it. It is easy to apply for it but difficult to continue for long. All the points that are about to be discussed should be taken seriously so that it can help you to take a home loan with ease. You credit score is an important aspect in applying for a home loan. Banks and financial institutions check your credit score before they approve your home loan. This credit score is history of all your past dues that you must have paid on time or later as well. It records all sorts of payments done as per the due date set. In case if your credit score is not up to the mark, then you would have to repair it so that you may get a home loan. If this is not repaired soon, then you may not be able to avail for any loan or may get a high interest rate. You can check such a score beforehand so that you do not face an embarrassment of unapproved of home loan. You can repair the score by applying for a small loan and repaying it to time to get the credit rating increased. Interest rate is the main aim of the banks and financial institutions as this is their income. They try and stay competitive and still cut the competition to get more customers always. Individuals keep on applying for a home loan so that they can get their dream home. There are two types of interest rates prevalent in the market i.e. fixed and floating. Fixed interest rate means that the interest component would be the same for the tenure you have chosen. There are no changes at all in this kind of interest rate. But for a floating interest rate, the interest is dependent on the repo rate. If the rate fluctuates, so does the interest rate. Usually individuals go in for a floating interest rate as it has chances of the interest rate reducing thereby making your home loan cost cheaper. There are chances of the cost going high also. There are many types of fees and charges that come with a home loan. You should know all about it so that you do not get a surprise for it being applied. Application fees is one thing which is put at the start of the loan application. It includes all sorts of setup and upfront fees and charges. If you wish to exit out of the loan beforehand then it should be known well in advance. We all plan. So, if you have planned your future, and wish to apply for a loan to close it in advance from your tenure, then such an information would be very good for you. The exit fees on such an outstanding amount would be very high and it can be a shocker for life and you would not be able to close the loan at all. Break fees are also a part of the home loan cost and it would be good to know when this expires. Ongoing fees is also a part of the home loan to keep your account active in all aspects. There are additional charges that apply on your home loan and you should know about them as it can be a percent of the loan application and cost a lot to you. All these fees and charges add to your cost of the home loan and increase it to burn a hole in your pocket. You should know all such details so that you can choose a bank and financial institutions which would help in reducing all such additional costs and still offer you a great interest rate. It is not possible to get all the benefits on your side, but you can look for the best ones that would give you the preference. So, make the most of all such details to get the best home loan sanctioned under your name and get the keys to your dream home. Many banks offer you a holiday on EMI. This is a simple calculation that you can apply for a home loan on an ongoing project so that your home is booked and would be handed over once it is completed. However, why would you pay completely for a project that is not yet ready to move in. This is where the banks come into the picture and tie up with the builders and developers to make the life of the individual easy. You would pay only for the loan amount disbursed to the project. The rest would only start once all the disbursement happens. You can also pay an upfront amount and the rest would only be paid when the possession is given to you. All such features and offers help you to benefit in a home loan. Government also keeps on launching schemes with the RBI so that the public can get a benefit on a national scale. PMAY is one such scheme known as Pradhan Mantri Awas Yojna. This scheme is for the people who do not own a home at all and wish to buy one to make them stable in all aspects. There is a rebate on all such schemes so that more and more people invest into it. The interest rate for such schemes are also lesser as compared to the general home loan rates. You need not keep any collateral on such home loans as the home itself is the collateral. In case if you fail to make the regular payments for the home loan, then the bank or financial institution would sell your home and get the money recovered. This is the reason home loans are never 100% financed so that there is room for the recovery until the term gets over. You can also buy such homes that go for auction and the banks itself provide a loan for it to get more benefit from the transaction. It is a vicious circle so that the money keeps on flowing into the system and the banks and financial institutions can earn more money. The documentation for such home loans are very simple. You need to provide a photo id proof and an address proof along with some financial documentations such as bank statements and earning slips so that the banks and financial institutions can study them to offer you loan. Your income tax return filing papers are also important to get you a home loan. A home loan is a very popular loan product that is available in the financial market. You should be knowing almost everything about it so that you can apply for it. Being informative is the only things that would help you in this loan market. The better you know the more beneficial you can get. Many developers have a tie up with the banks and financial institutions so that their inventory can be fast moving. They also design many offers with the bank so that the clients can benefit from it. So if you plan to apply for a home loan in the future, then keep your papers ready for scrutiny.